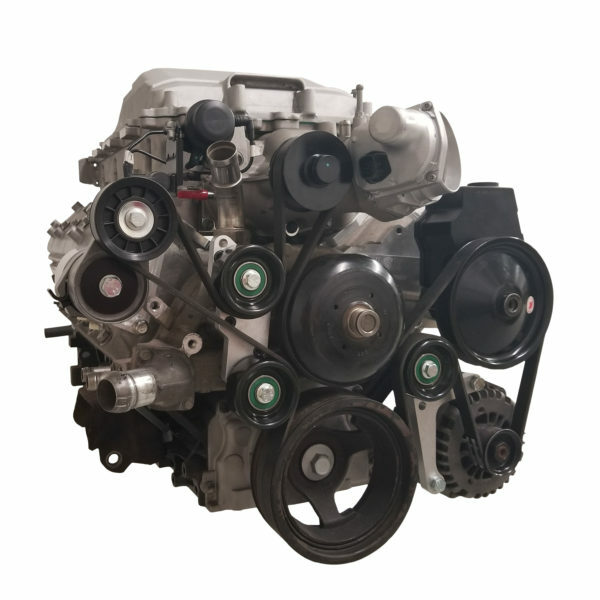 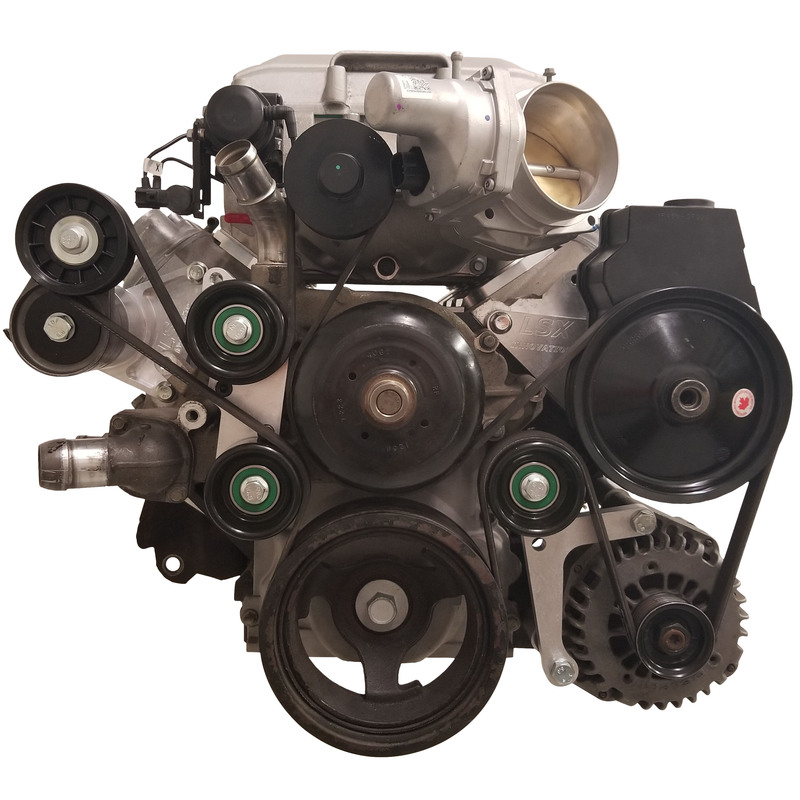 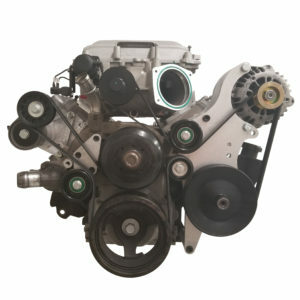 Our LSA Belt drive system uses your existing LS1 power steering pump and alternator. No need to buy an 8 rib system to use your LSA supercharger. 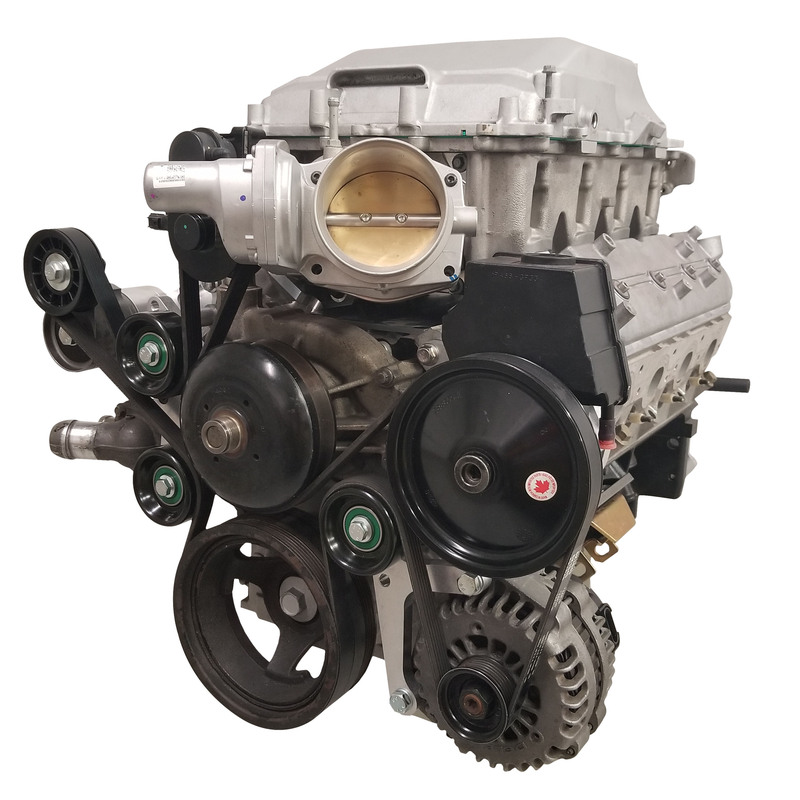 This system moves the stock LS1 power steering pump/alternator out to truck spacing. 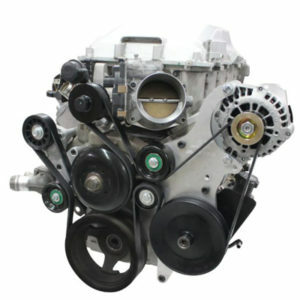 power steering bracket, alternator bracket, HD tensioner bracket and HD tensioner, double idler bracket, and all associated hardware/idler pulleys. 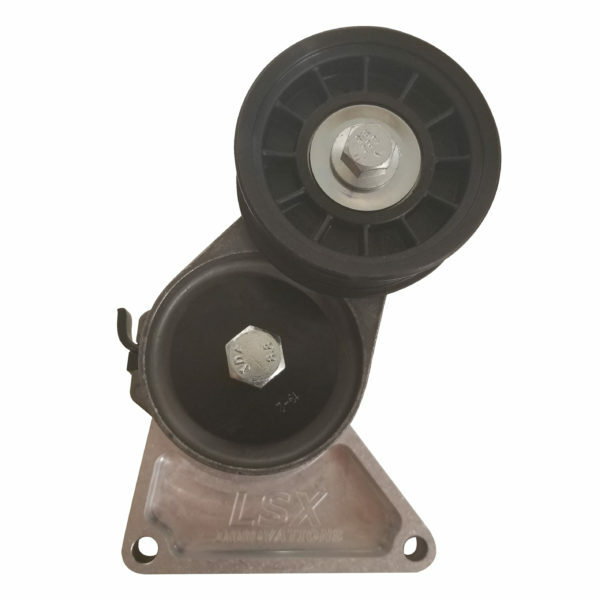 TRUCK crank pulley. 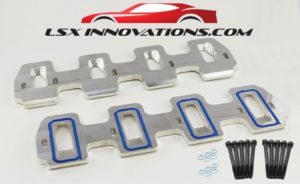 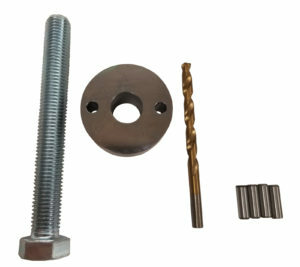 This kit is not compatible with LS1 crank pulleys. 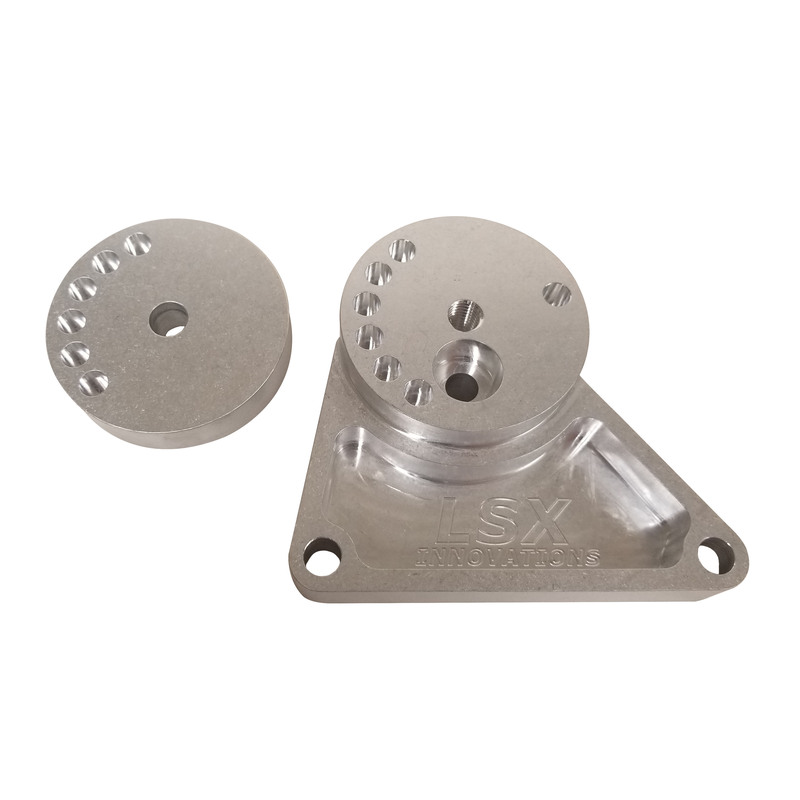 Due to the various combinations of pulleys, intake spacers etc… We recommend installing the kit and measuring the belt specific for your application. 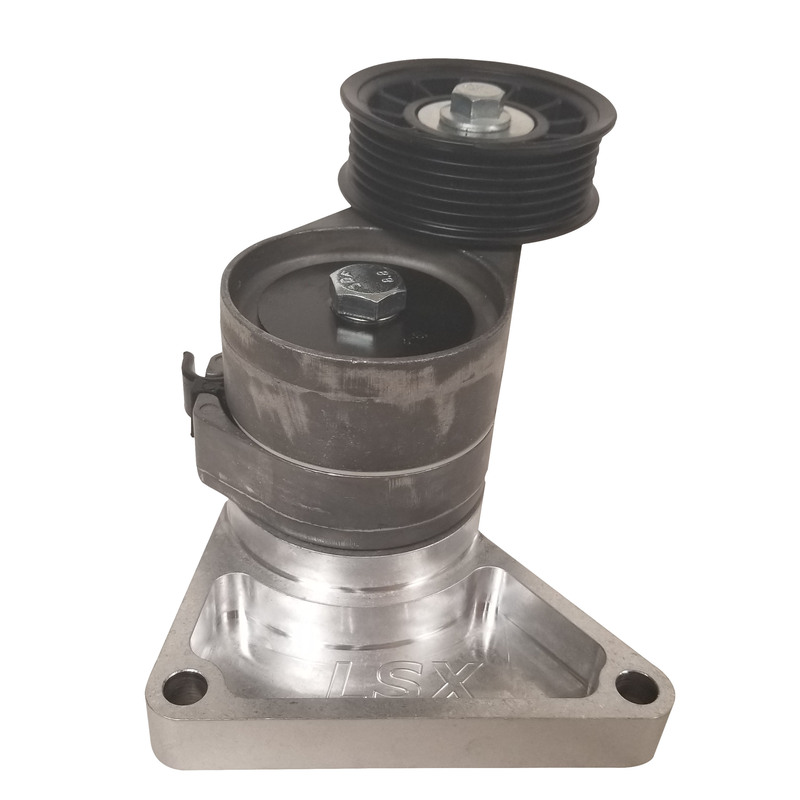 If using a gen3 water pump you will need to trim, or bend your water outlet slightly to clear the bypass valve. 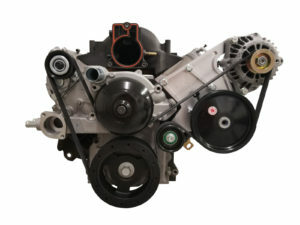 Gen4 pumps require rotating the boost bypass solenoid, or removing it completely.